With legal tax tricks, corporations bypass tax payments in billions. We want multinationals to contribute their fair share to the common good. The European Commission is now proposing to close the first tax loopholes. That corporations tax their profits where they are also earned. They can no longer be moved into tax havens/ fiscal paradises. That costs can only be deducted on the basis of the same rules. That there are common minimum rates for profit taxes in the EU. That all new rules are watertight against new tax dodging tricks. The EU member states now have to agree on common regulations. Then the EU would be a courageous world leader in the global fight against tax dodging. Corporations have been taking us for a ride by using every trick in the book to avoid paying their fair share of taxes. But that could be about to end. The European Commission has proposed a first step to make giant corporations like Amazon and Facebook play by a common set of tax rules across Europe, and stop them from exploiting the differences in national corporate tax regimes. But there’s a problem. Countries that help corporations dodge paying their taxes like Ireland, the Netherlands and Luxembourg could block the proposal, unless some big countries like France and Germany speak out now. But so far, they’ve stayed quiet. So we need to persuade them to step up and speak out. Amazon paid 2014 only 16 million euros with a turnover of 11.9 billion euros. Facebook paid 4,000 pounds of tax in the UK. 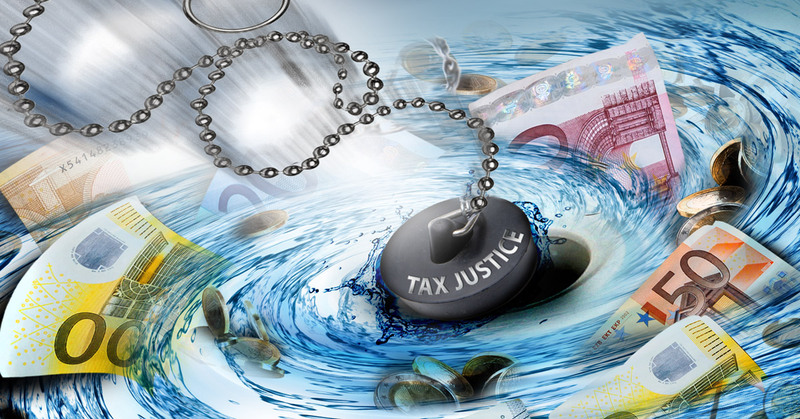 Public funds in the EU lose 50 to 70 billion euros a year for tax avoidance. Vodafone sells Verizon and does not pay taxes in Europe on the sales proceeds of 100 billion euros. The Apple Group made $16 billion and moved it to Ireland and to the Bermudas. The European Commission is demanding it pays Ireland over $13 billion in owed taxes. Expenditure on research and development can be deducted from the profit in addition to the actual costs with a maximum of 50 percent of the expenditure. Start-ups are to be allowed to deduct another 100 percent of the research expenditure from the tax. Taxation should be the same for all countries in the EU. Corporations should pay their share of taxes. Profits should be allocated to where the value is actually created. Every tax dollar ending up in a tax haven is one less dollar that goes to building our schools, health care systems, etc. This could help stop corporations from dodging their taxes. EU Finance ministers could do this one thing that could help put a stop to corporate tax dodging across Europe. Thank you for standing up for making corporations pay their fair share of tax. It is only together that we can truly be a force to be reckoned with. WeMove.EU is funded by donations from our community across Europe. Can you chip in and help make sure that in 2016 is a huge success?